IM training turns school into child’s play! IM training can make that life a little easier. Greater neural efficiency results in more efficient brain connectivity, communication and synchronization between the essential brain networks. When the brain’s neurons are working at peak performance, additional cognitive function that was being wasted can now be used for attention, memory, coordination and control. Quite simply, synchronizing your brain’s timing and rhythm results in highly efficient communication, improved processing and more fluid movement. Now, your child will reach their full potential academically, athletically and socially, which will make all those extracurricular activities a breeze. The domain-general mechanism of timing is a “jack of all trades” mechanism that manifests itself in sleep cycles, speech patterns, ability to attend over time and overall efficacy of brain communication. This timing in the brain, or temporal processing, has been shown to be deficient in several common neurological conditions, a clear sign that it is connected to scholastic brain function. IM is the only training program that improves timing in the brain in an organized, systematic, flexible and engaging format. Take Lauren, for example. Lauren is in advanced-placement (AP) classes. She is motivated, competitive and confident, but she feels like she can’t focus as well lately and she wants to improve at lacrosse. After only a limited amount of time with IM, Lauren reports that she is finishing her homework faster, has improved her lacrosse drills and feels more focused. 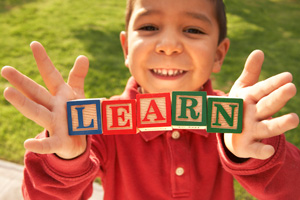 IM is a research-based training program that has been shown to help improve Academic Performance. For help with particular conditions, look for Providers with our badges on our Provider Locator Board. These badges are designed to highlight the special IM training our Providers have done in these areas to better serve their populations. The badges are: Academic, Autism, Brain Injury/Stroke, Early Intervention, Home Health/SNF, Innovative Pediatrics, Motor (Neuro/Ortho), Other Neurological Conditions, Reading/Literacy, SPD/ADHD, Speech/Language, Sports, Telepractice and Visual Processing.